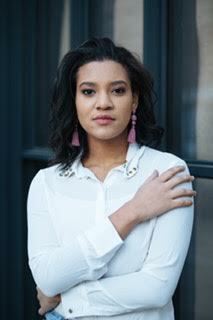 Soprano Shereen Pimentel from Teaneck, New Jersey, is a third-year undergraduate at Juilliard, studying with Edith Wiens, where she is a proud recipient of the Kovner Fellowship. She started performing professionally at the age of nine when she debuted on Broadway as Young Nala in The Lion King. This season at Juilliard, she has performed in the undergraduate opera production of Orpheus in the Underworld and the Drama Division’s production of Into the Woods directed by Sarna Lapine. Other school performances include Die lustigen Weiber von Windsor. This past summer she was a Voice Fellow at the Music Academy of the West in Santa Barbara, where she performed as Barbarina in the production of Le nozze di Figaroconducted by James Conlon. 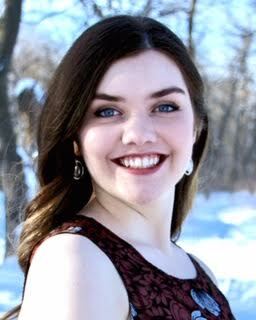 She won first prize in the 2018 New York Lyric Opera Competition. Cameron Richardson-Eames was born in the U.K. in 1992 and is a graduate of Cambridge University and the Royal Academy of Music. He is currently a Fulbright Scholar at the Juilliard School in New York, where he studies with Dr Brian Zeger and holds the Irene Diamond Fellowship, and the Samuel Sanders Award for Collaborative Pianists. Training as a joint first-study singer, Cameron held a choral scholarship at Cambridge University, and graduated with high First Class Honours, before being immediately appointed to the university’s music faculty. At the Royal Academy of Music, he was awarded the Major Von Someron Godfrey Award for accompanists, Dame Ruth Railton Prize for chamber music, Katie Thomas Memorial Award for outstanding achievement, and the coveted Diploma of the Royal Academy of Music for outstanding postgraduate performance. Recent engagements include broadcasts on BBC Radio 3, Classic FM, Südwestrundfunk Deutschland and WQXR, and performances in the UK at the BBC Proms, Wigmore Hall, St John’s Smith Square, Ryedale Festival, as well as in Germany, France, Italy, Estonia, Malta, Denmark, and Carnegie Hall. Forthcoming engagements include recitals in the UK, Paris, and a Carnegie Hall Citywide Recital. He has served on the piano staff of Ravinia’s Steans Music Institute in Chicago and runs a busy private vocal coaching studio in New York. As a singer he appears on fifteen recordings on the Hyperion label, about one of which the Los Angeles Times wrote ‘if you’re not touched by tenor Cameron Richardson-Eames you have Grinch in your soul’. He plays for the Brit Award-winning band, BLAKE, and sings with the Grammy-nominated group, Polyphony (Stephen Layton). A native of White Plains, New York, bass-baritone William Socolof started his vocal and musical training at the Interlochen Arts Academy in Michigan. As a vocal fellow at Tanglewood Music Festival (2017–18), he appeared in Sondheim on Sondheim with the Boston Pops and Keith Lockhart, concerts of Bach Cantatas conducted by John Harbison, and premieres of new works by Michael Gandolfi and Nico Muhly. Socolof made his operatic debut at Juilliard in the 2016 production of Haydn’s La fedeltà premiata as Melibeo and is an active participant in school showcases and recitals. Other operatic performances include Die Sprecher (Die Zauberflöte) at the Chautauqua Institution and Guglielmo (Così fan tutte) at Oberlin in Italy. Socolof is pursuing his master of music degree at Juilliard, where he studied with Sanford Sylvan.